It serves for the production of samples, made from elastomers according to the Standards mentioned. 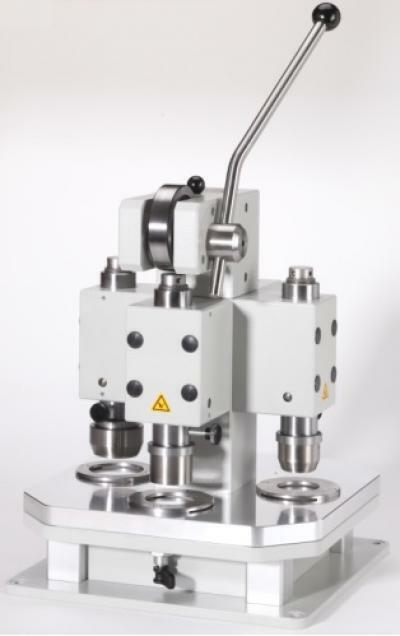 You can manually cut ring-shaped or bar-shaped samples as well as samples of other shapes. The stamp, where the cutter is fixed on, is lowered onto the material by help of the excenter, by twisting the hand lever. The stamp is put into its initial position by help of the recoil mechanism and the ejecting mechanism as soon as the cutting procedure has been finished.